Red Thai pepper pods vary from one-half to three inches long and one-fourth to one-half inch in width. Its smooth skin turns from bright green when immature to a vibrant red hue when fully mature. Its flesh has a meaty texture and encases many tiny seeds. It offers a potent, lingering heat registering between 50,000 and 100,000 Scoville units. 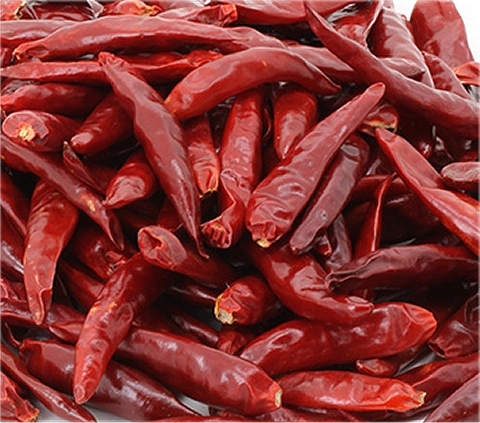 When at the red stage the Thai pepper pods sometimes will heat slowly building up after consuming.